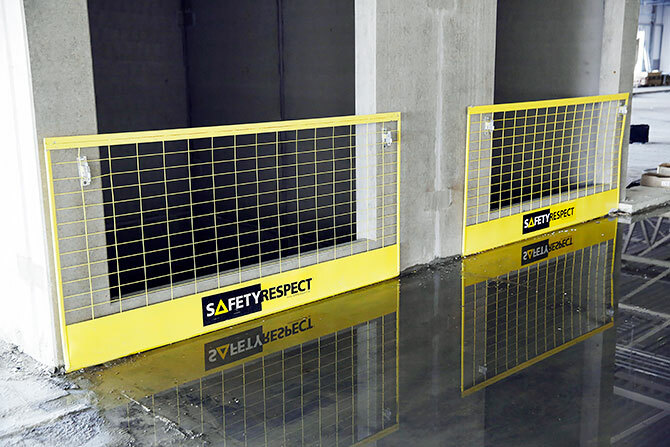 Using Wall brackets and Barriers can quickly and easily secure wall openings. Using this attachment there is no need for posts and attachment in the slab. 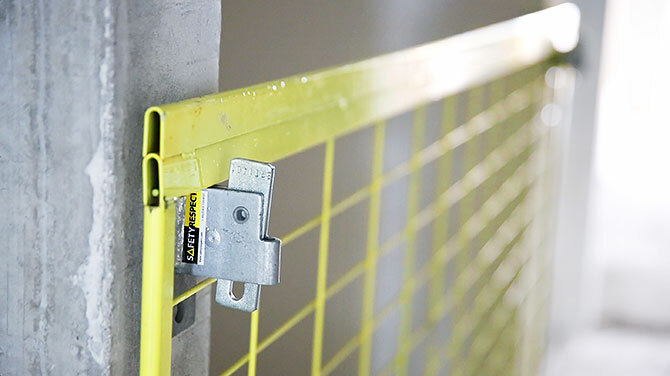 The solution makes it simple and fast to open and close the edge protection. Casting is facilitated and one advantage is that repair of edge protection attachments are not required. 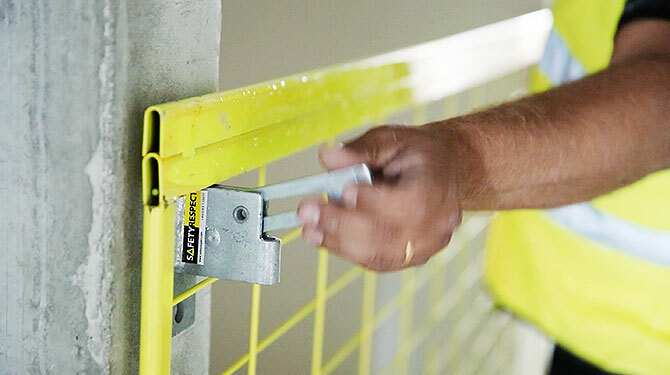 This solution creates a tighter edge protection in comparison to using Adjustable link bars. 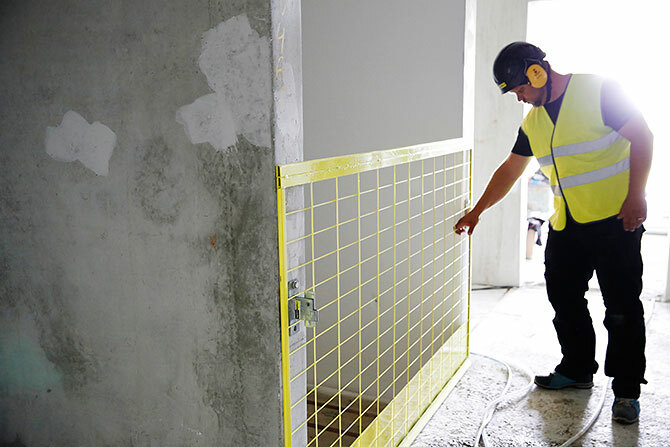 It is quick and easy to install and uninstall when various kinds of work task are to be carried out.